Another central agency change now as I learn that Marc Haendle at Ocean Independence and Jochen Brill at dahm international have been appointed joint central agents for sale of the 29m sailing yacht Scorpione dei Mari with a €700,000 price cut. Built in aluminium by Jongert in 2005 to a Tony Castro design, she’s a proven regatta winner. Accommodation is for up to seven guests and she comes complete with a full racing and cruising sail inventory. 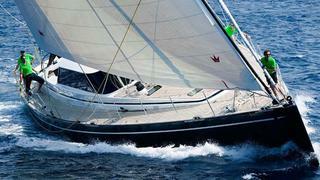 Scorpione dei Mari has been well maintained throughout her history and received a full paint job in 2011. Lying in Palma where her berth is also for sale, Scorpione dei Mari is down from €7.4 million to €6.7 million.